...is a set of educational tools for Digital Electronics. Deeds is developed at DITEN (ex DIBE) - University of Genoa, Italy. Why 'Deeds'? ...is a learning environment for digital electronics. 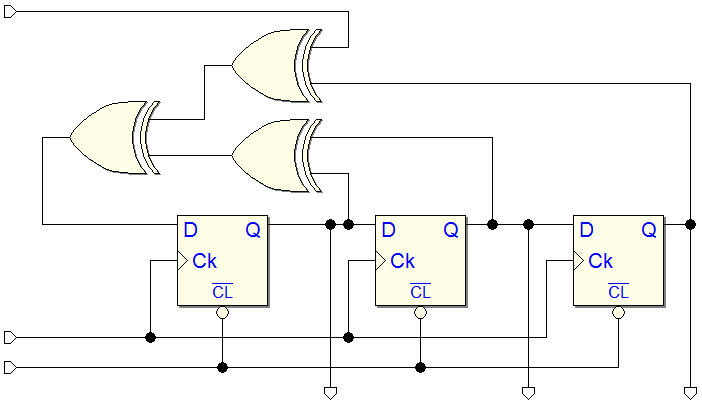 The schematic editor allows to connect traditional logic circuits with subsystems defined by the user of the finite state machine editor, the symbol editor and the micro-computer emulator. It is therefore possible to experiment with systems composed of state machines and microcomputers, with port interfacing and low-level programming (as an introduction to embedded systems). The Deeds FPGA capabilities allow the compilation of a project into an FPGA chip, exporting it in VHDL to a FPGA-specific EDA tool. 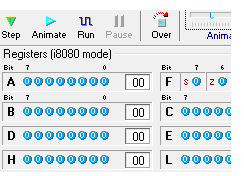 Beginner users do not need to know the VHDL language. ...offers a wide collection of learning materials. Deeds is conceived as a common resource for all the people working in digital electronics. As such, it may contain different technical subjects, different pedagogical formats (lectures, exercises, lab assignments, etc.) delivered at different student levels. Deeds is therefore born as a set of tools (listed before) that teachers can complete and personalize to suit their pedagogical needs by contributing to the lecture space with their own materials. Teachers need no specific authoring tool, because the lecture space can be composed with any HTML editor. A lecture based on Deeds appears as HTML pages with text and figures. The page aspect and layout are totally up to the author. At this level, students see a familiar on-line book or document. But many of the figures and visual objects could be active, because they can be connected to the Deeds tools. For example, let’s suppose that theory presents a certain digital circuit, visualizing its schematics. When the user clicks on it, Deeds launches the corresponding simulator, and opens the schematic. It is possible to convey concepts on simple components or quite complex networks. In the first case, simulators allow to animate circuits, i.e. to explore them interactively. In the second one, their capabilities of tracing signals in time and data domain allow a thorough test of the network. ...to solve exercises and control solutions. The target of traditional exercises is to help understanding theory, applying it to simple cases and providing a feedback to the teacher through the delivery of the solutions. In our system, exercises are presented as HTML pages, containing text and figures of the assignments. The role of Deeds is to allow students to check the correctness of the solutions obtained manually and to provide graphical tools for editing the web page containing their reports, until they are satisfied with their work. Then they can use Deeds to deliver the reports through the network. The use of Deeds implies a different approach to the structure of the exercises. In fact, with the simulator, students may be tempted to skip manual analysis. Exercises, therefore, must be targeted more to the real understanding of the issues than to the execution of repetitive tasks. ...to learn to design (and test) electronic systems. The development of a digital design project is the field where Deeds can fully be exploited. In fact, the interactive logic simulator, the finite state machine module and the microcomputer board emulator can work simultaneously in the simulation of a system where standard digital components can be controlled by a state machines and/or a microcomputer board, as it is the case in contemporary digital design. Obviously, the modules can be used independently, to test separately the system’s parts. A project assignment consists of a functional description and a set of specification of the system that students must design. The approach is meant to replicate the features of a professional environment, within the guidelines suggested by the educational purpose of the project. Students download the assignment from a web page, where project development phases are guided. Such instructions are not step-by-step and imply an intelligent use of the simulation tools and an interest by the user. In this web site a few screenshots are available to provide a hint on how Deeds tools can be used for a project using different techniques of digital design, stand-alone or combined together. ...to test digital systems on FPGA boards. The introduction of FPGA (Field Programmable Gate Arrays) in a first-year course of digital design in ICT engineering is nowadays advisable. Since it is not easy to build good foundations on logic design just by completely migrating the traditional schematic, simulation and bread-board based prototyping to VHDL based FPGA design flow, Deeds makes the process of FPGA configuration straightforward and compatible with the beginners’ skills. 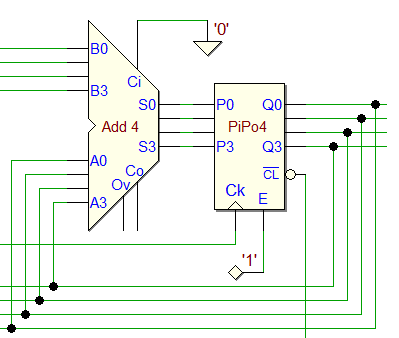 Tutorials guide students in the process and, at the same time, provide a synthetic introduction to FPGA projects. Our approach fills an important learning gap in early exposure to FPGA, by skipping the pre-requisite of a hardware description language or the proficiency in high-level programming languages. 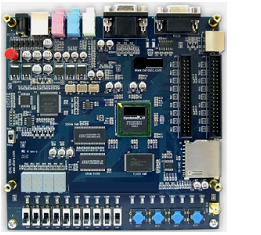 Deeds integrates FPGA configuration and testing into its interactive design and simulation flow, making combinational and sequential design, as well as microprocessor core programming, demonstrable through physical FPGA boards. The process achieves appreciable effects and it is fully compatible with the beginner's skills.